With Valentine's Day comes the expectation of sweets, flowers, and—perhaps, biggest of all—cards! This traditional day to express affection to loved ones is the second largest card-sending holiday of the year. 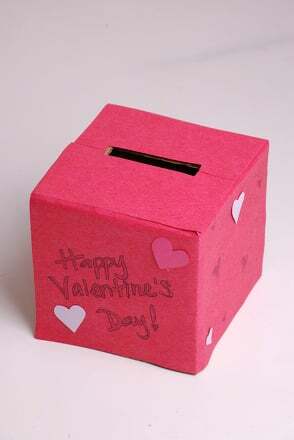 Get your child prepared for the influx of greeting cards from classmates and relatives by creating a valentine mailbox for the occasion. This fun project will enhance your child's fine motor skills and reinforce the importance of recycling and reusing old materials. Help your child cover each side of the tissue box with a piece of colored construction paper. Suggest that he trace each side onto the paper, cut the rectangles out, and then glue the festive sheets onto the box. Cut a slit at the top of the box where the colored paper is covering the small hole at the top. This will be the mail slot for the cards to go into, so make sure that it's large enough. You will then cut a small door in the bottom of the box from which your child will remove the cards. Cut out three sides of a square and then bend the flap back. Once the door has been made, close the flap and set the box down to keep the door closed. Once the mailbox is constructed, invite your child to decorate it with fun shapes and colors! There's no need to limit the decorations to just hearts! Make sure to let your kid come up with his own unique designs. If your child would like to attach a small mail flag, help him cut a small rectangle out of paper and then attach it to a small tack or brad. Ask your child to spell out his full name across the top of the mailbox. Encourage him to also create an address for his mailbox. Your child is all set to collect his Valentine's Day cards and treats! Set it up on a table at home, or ask his teacher if he can bring it to school for their Valentine's Day celebration. 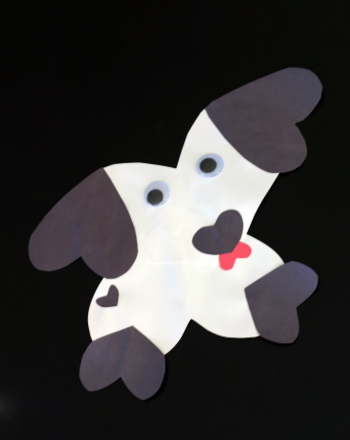 Valentine shapes get your child to practice basic geometry while celebrating Valentine's Day. 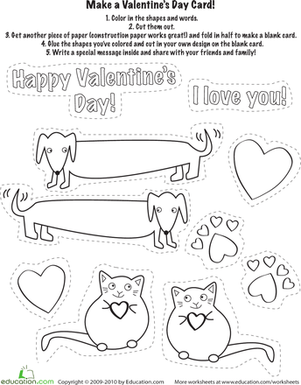 See what valentine shapes you can find in this worksheet. Say hello to a friend, teacher, or special someone on Valentine's Day with this cute cut-out alien valentine. 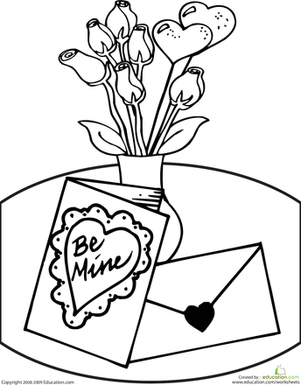 This pretty Valentine's Day coloring page is a fun activity and a great replacement for a Valentine card. 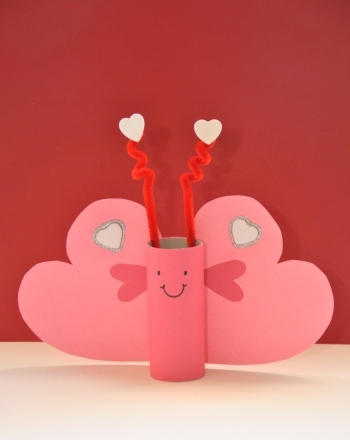 Printable Valentine Cards: Love Bug! If you've been bitten by the love bug this February, color in one of our printable valentine cards.